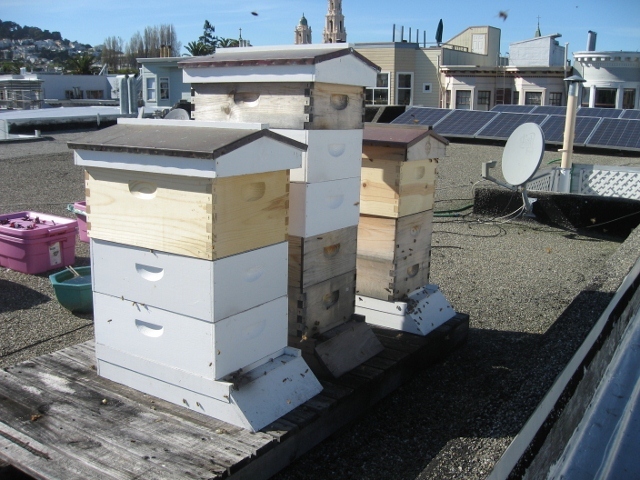 I started keeping honey bees on my roof here in San Francisco five years ago. I wanted chickens but my neighbors put the kibosh on that one. It was probably for the best. We have no actual soil – just a small patch of concrete between buildings which only gets partial sun. 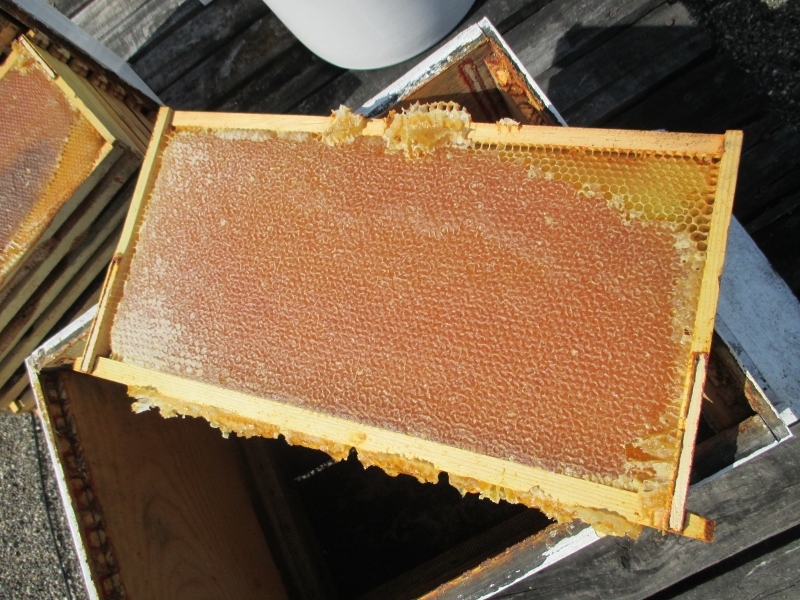 I decided that I would get bees instead and shrewdly installed them without informing anyone. It was three months before anyone even noticed. 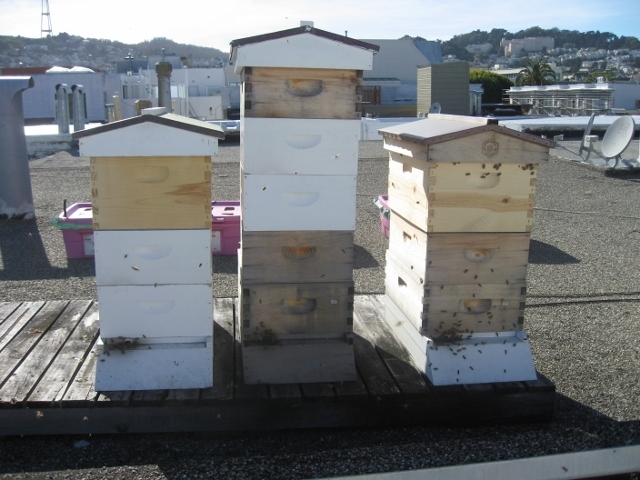 I joined the San Francisco Beekeepers Association and had some seasoned folks walk me through the basics. 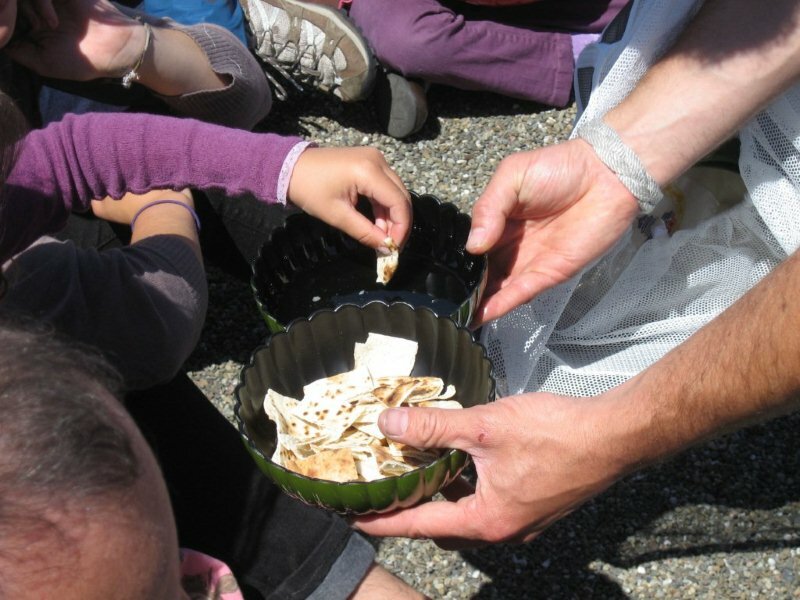 They’re a wonderfully eclectic mix of people who were very eager to share. 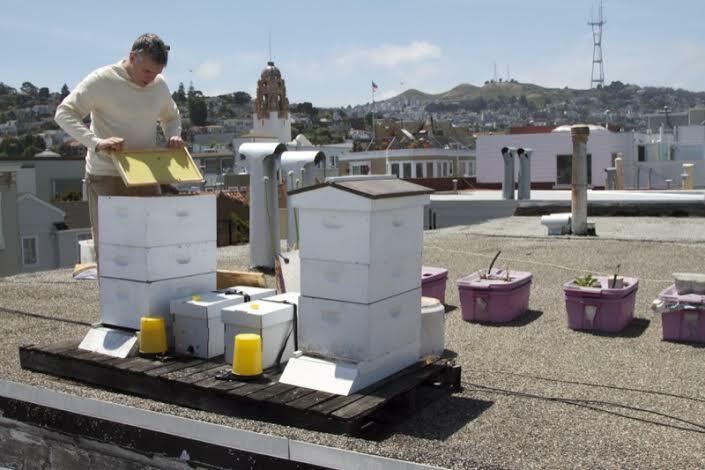 As it happens city rooftops are a better habitat for healthy productive honey bees than prime agricultural land for a lot of reasons. 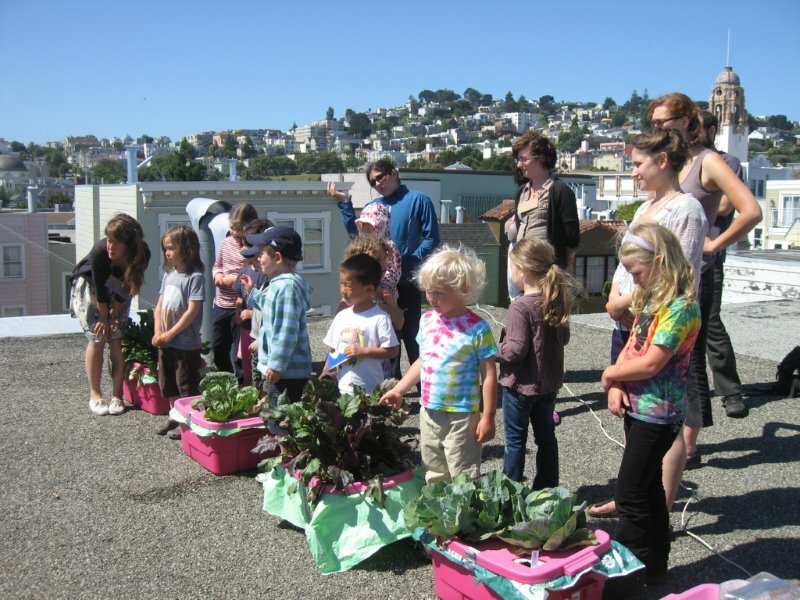 City gardeners cultivate a wide range of flowering plants throughout the year and tend to refrain from using herbicides and pesticides. Out in the country farmers raise endless fields of monocrops that they routinely bombard with all sorts of petrochemicals. 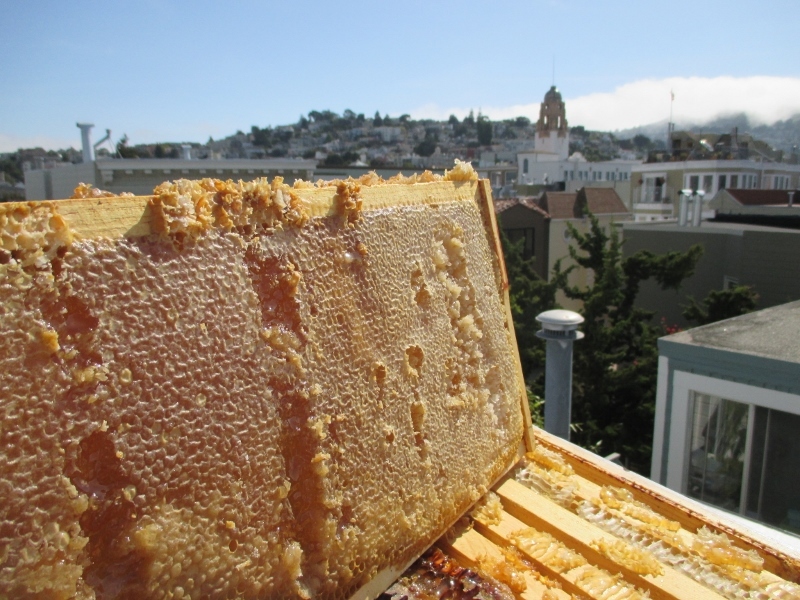 The city is actually better for bees. 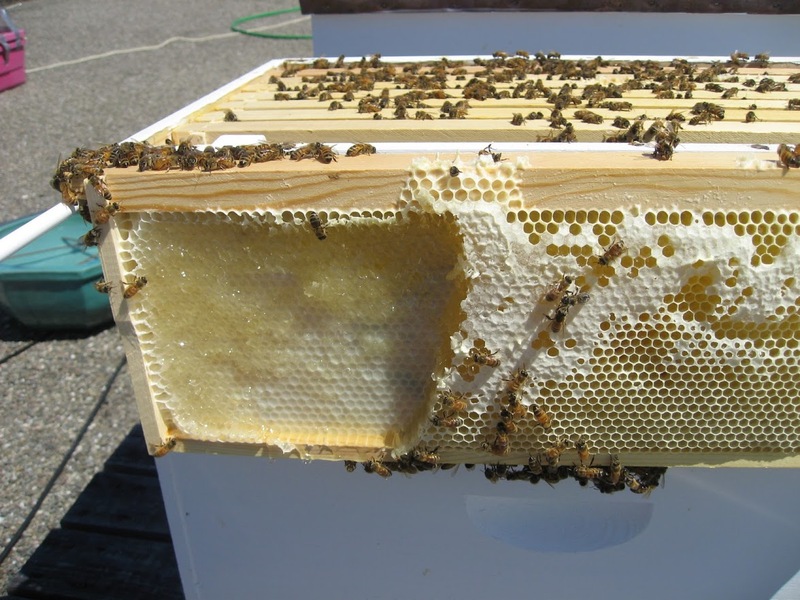 An older man explained that twenty years ago he worried that beekeepers were a dying breed of old white guys mostly out in the countryside. 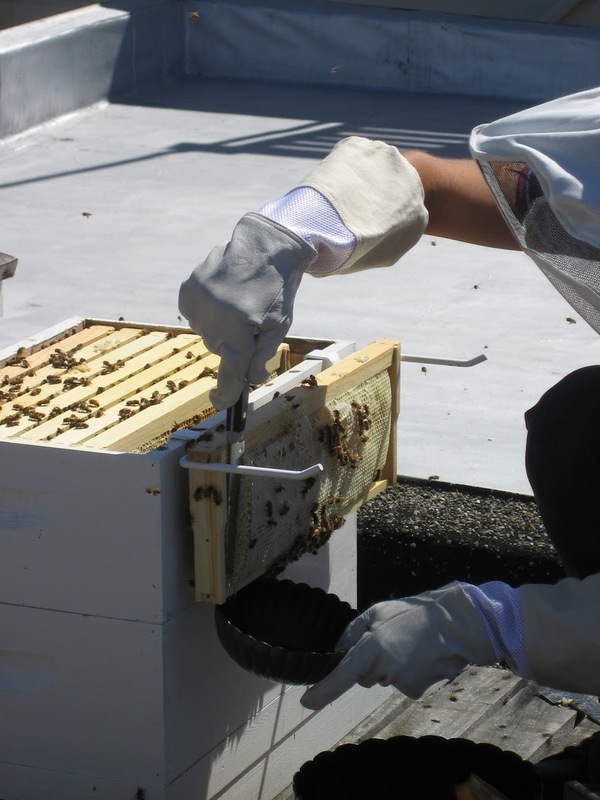 He never imagined that beekeeping would catch on in the center of cities or that many of the new beekeepers would be professional women or people with no previous experience with agriculture. 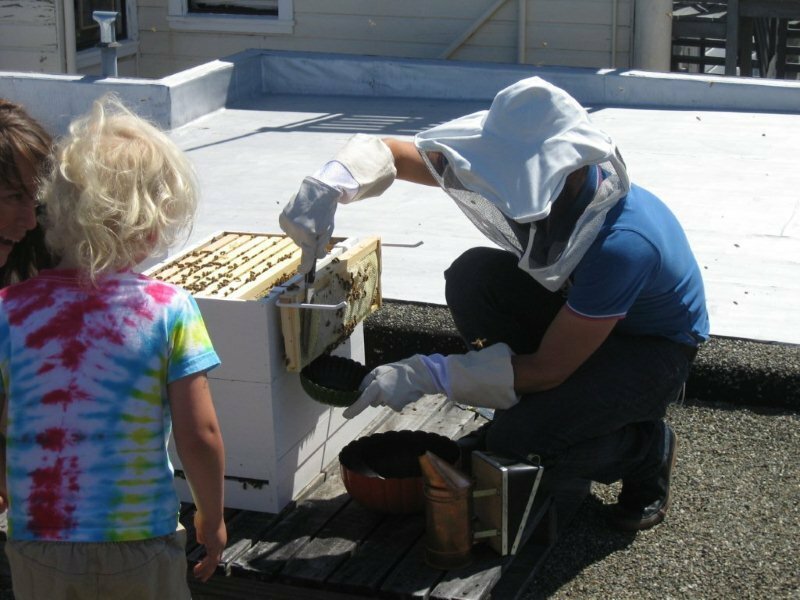 I have a friend who teaches summer enrichment classes to young children and he brought the kids and a bunch of parents up to demonstrate where honey comes from. It was a lot of fun. 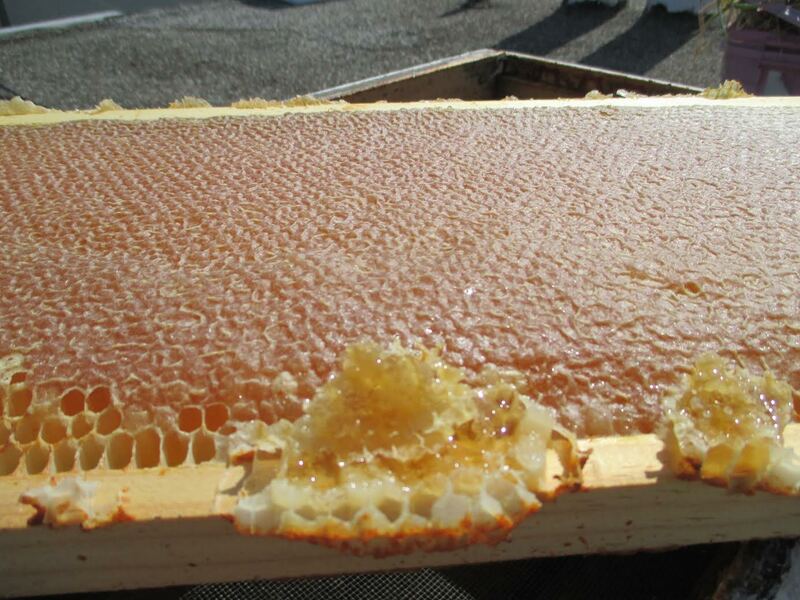 This year was an especially good year for honey in terms of both volume and quality. 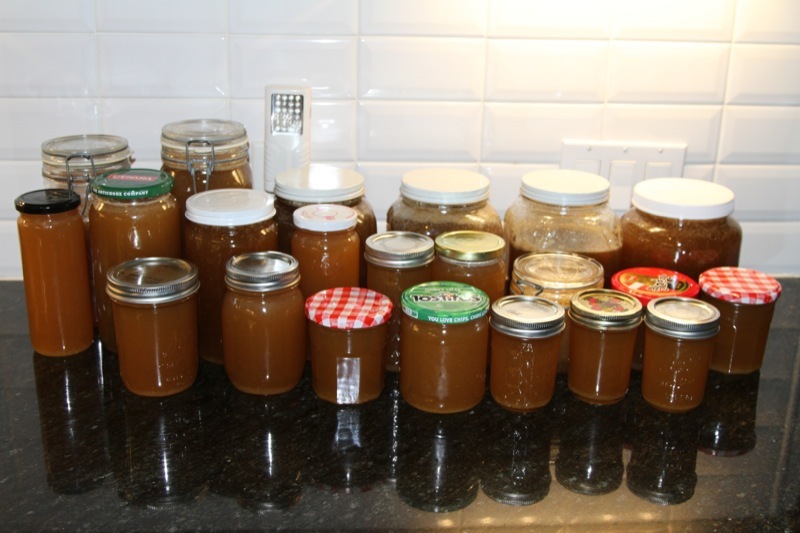 I extracted two dozen good sized jars twice this season – most of it given away to friends and neighbors. 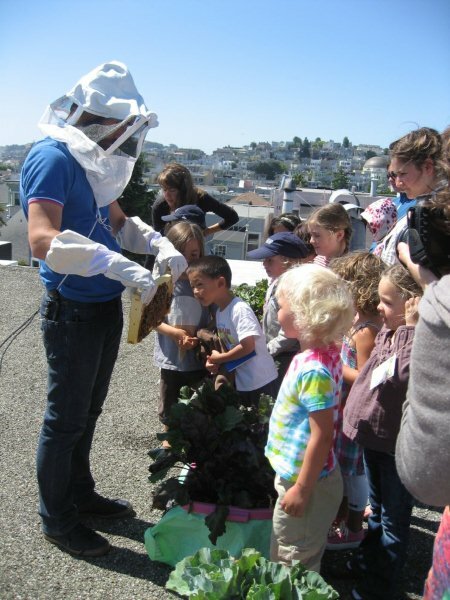 I can’t say I’m especially good at tending the bees. Mostly I poke at them in moderate ignorance and they look after themselves. 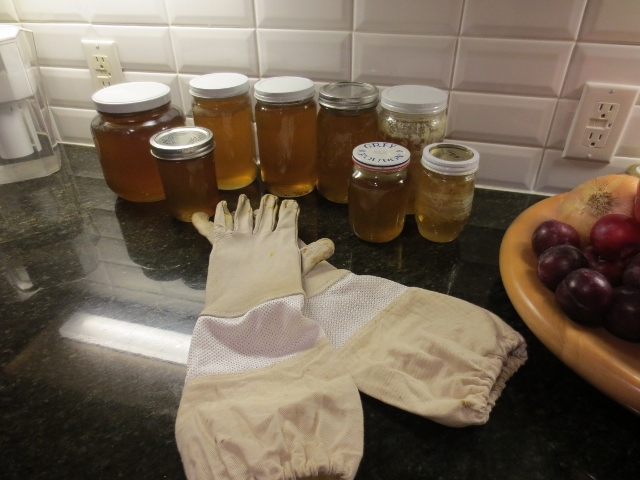 A real beekeeper might be appalled at my amateur practices, but so far, so good. 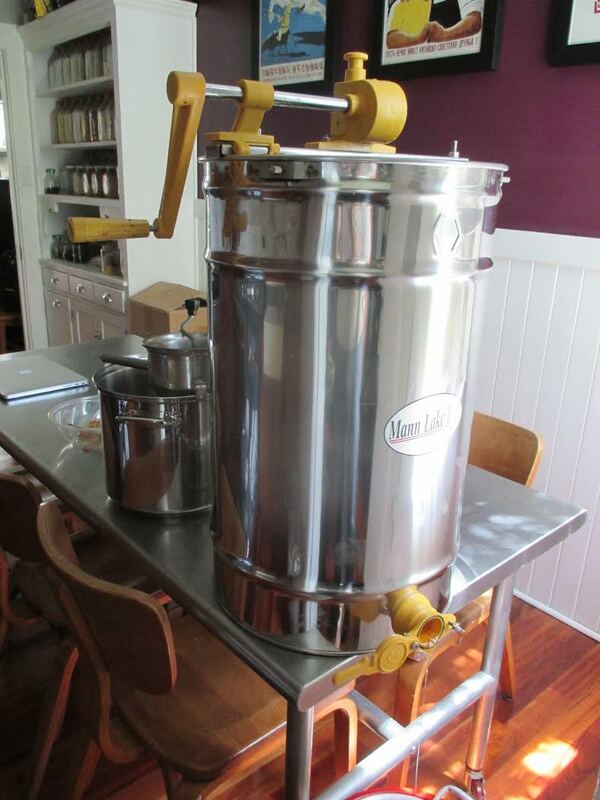 From an economic standpoint you could put this honey into the “$78 home grown tomato” category. The up front investment in equipment was several hundred dollars all told. But you get more than a jar of honey from the whole experience. I highly recommend others to give it a shot.